The Orchardist by Amanda Coplin (2012, Harper) is, at first glance, an almost outrageously handsome book. It seems to tell you, by the very look of it, that it will be both durable to hold and magnificent to read. Coplin’s story is described by Holloway McCandless (what a gorgeous name, right) of Shelf Awareness as “an extraordinarily ambitious and authoritative debut”, which, when one thinks of debuts, is what one wants to hear. Set in the rural reaches of the Pacific Northwest at the end of the twentieth century, The Orchardist has one of those plots that gives you faint goosebumps under your arms and across your nape, just considering it. It involves a kind, reclusive man interfacing with two young pregnant girls who trespass on the fringes of his land and the cockles of his heart. There’s trauma, and acts of redemption, and the bedrock of an America that scarcely resembles the one of 2013. My mother has already read it, and loved it. She deemed it “serious, important writing”, a moving, beautiful story, movingly and beautifully told. I gave more than one Christmas book last year, however. To my best friend, I gifted Before Night Falls by Reinaldo Arenas (1994 reprint, Penguin). It is her favourite memoir in film, and we both predict/hopefully anticipate that it will be her favourite memoir in print, too. (An outrageously goodlooking image of Javier Bardem from the 2000 movie is plastered across its front cover, which, one imagines, would spike impulse sales considerably.) The New York Times Review of Books describes Arenas’ prose reminiscences as “a book above all about being free”, charting in often painfully honest chapters the episodes of sexual persecution that have defined his queer autonomy, and political suppression that has stifled his creative work. Nor, one notes grimly, are the two methods of censorship mutually exclusive. This is the world on which so much of the Cuban writer’s fiction is founded, and Before Night Falls grants the reader the freedom of access to anti-regime, anti-persecutory reading: freedoms that Arenas himself often worked and lived without. My brothers gave me three books, two of which suit each others’ company as impeccably as cucumber sandwiches and Darjeeling tea: North Parade Publishing collector’s edition copies of Jane Austen’s Sense & Sensibility and Northanger Abbey. Perhaps alarmingly, or predictably, I’ve read no Austen in her totality other than that which I studied, because, well… I don’t know. One needs to be in the precisely perfect alignment of mind and disposition to delve into Austen for pleasure. These volumes might well lend themselves to that faster than the others in my possession. Incredibly portable, endearingly tiny, and interspersed with charming black and white illustrations, these are true keepsakes. I will endeavour to fill out my collection with the remaining titles, and actually strive to read them all. The third of the books from my brothers is the hauntingly-covered Her Fearful Symmetry by Audrey Niffenegger (2009, Alfred A. Knopf), whose super popular The Time Traveller’s Wife endeared me in no way towards it. 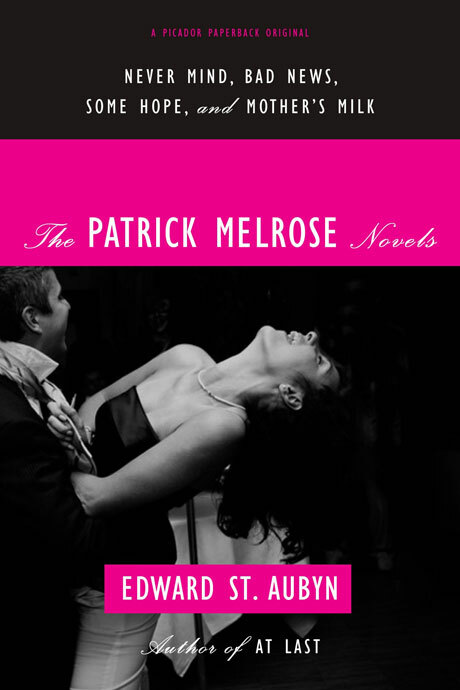 (Please remember that I am a book snob, and that book seemed to have “Oprah’s Book Club” smeared all over it. For all I know, it could be a good read.) Her Fearful Symmetry seems more promising, telling the tale of two intensely bonded sisters, Julia and Valentina, and their acquisition of a London apartment that looks over the impressive Highgate Cemetery, home to the bodies of several departed luminaries. As ghost stories go, it seems a juicy, engrossing tale, with, I hope, a shiver or two tucked inside. My mother gave me seven books this year, a diverse and merrily motley lot. 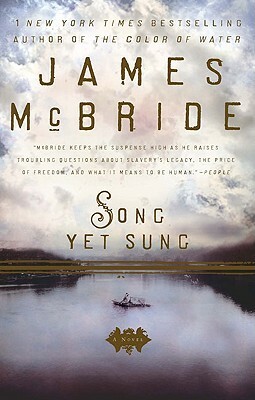 James McBride’s Song Yet Sung (2008, Riverhead), is heralded by the New York Daily News as “a gripping tale filled with acts of cruelty and humanity that surface at unexpected times — and in unexpected people.” Set in the days preceding the Civil War, it hones in on the fugitive journey of Liz Spocott, a runaway slave cursed/blessed with visions of a disturbing future. Beset by bounty hunters, wading through swampland, Liz’s journey is at once intensely personal and emblematic of a larger, more disquieting conversation, one that McBride explores with utter candour and grace. The only reason I don’t read books like this immediately is because I’m afraid of what they’ll do to my insides. I always get around to them, though. They are necessary. Ivan Turgenev’s First Love (2005 reprint, Barnes & Noble Books) is widely celebrated as one of that prolific Russian author’s most favoured pieces of short fiction. “Anyone who has ever been in love,” the blurb of this edition proclaims, “will be touched by this tale of passion and disillusionment.” Given that my previous year was characterized by mostly contemporary reads in both fiction and non-, First Love feels both mirthful and apropos: a reminder that a look, a glance, a well-considered waltz backwards into the archives of classical literature can elicit rejuvenating effects. Coming in at just under seventy pages, I don’t think I’d be remiss in casting this slim volume as a potential Story Sunday pick, sometime later down in the 2013 calendar. Run by Ann Patchett (2008 reprint, Harper) is touted by Jonathan Yardley of Washington Post Book World as “a thoroughly intelligent book, an intimate domestic drama,” one that deals, above all else, with concerns of family. Patchett’s fourth novel, Bel Canto, thrust her into the spotlight: the three books that preceded it received acclaim, certainly, but not quite in the way that the PEN/Faulkner award-winning Bel Canto did. Run‘s biggest worry, out the gate, must have been on how it would stack up –even if Patchett didn’t trouble herself on this issue, the critics would. The author is talked up by The New York Times Book Review as being “more hammer and nails than glue and lace”, which is enough to make me wheel back and take serious note, on its own. I haven’t even read Bel Canto, though, so here’s what I’ll do: read Ann Patchett backwards, like my fingers are tamped down on a VCR’s rewind button. We’ll see what insights and revelations emerge. Arguably the sexiest thing beneath the Christmas tree addressed to me, Haruki Murakami’s 1Q84 (2012 reprint, Vintage) is going to be the first book I read by this legend of an author. I am excited. I am so excited. This book seems strange and compelling and entirely unpredictable, and I want to know it, the way you would want to know the dark, Aragorn-esque stranger in the corner of the tavern. The Times calls it “a work of maddening brilliance”, and so wide is the net of global recognition flavoured with quirky, creatively fecund singularity that Murakami’s cast around him, one is inclined to agree vigorously even before reading the first page. Set in Tokyo’s 1984, the novel follows the intertwined stories of Tengo and Aomame as they venture deeper and further down rabbit holes of parallel worlds and suspicious ghostwriting assignments. I would like to repeat, just for the record, that I am so excited. Mario Vargas Llosa’s The Dream of the Celt (2012 reprint, Farrar, Straus and Giroux) is described in the last lines of its blurb as a novel that dares to push the envelope where historical fiction is concerned. It illuminates the life of Roger Casement, the Irish nationalist whose humanitarian work deeply discomfited those accused of its crimes, notably the British in Northern Ireland. Convicted and executed by the British, stripped of his rank and title, Casement’s pioneering work was so sullied by his disgraceful end that real interest in his legacy only peaked again in the 1960s. This novel feels formidable, masterful and deeply rewarding. I shall have to acquire a copy in its original Spanish, and read the two side by side. Edited by R. V. Branham, Curse + Berate in 69+ Languages (2008, Soft Skull Press) is a reminder that my mum is possibly more of a badass than I will ever be. There is very little I can say explicitly about this irreverent, whimsical, yet clearly superbly researched book that won’t get Novel Niche slapped with an NC-17 rating, which really is the core of the compendium’s, er, charms. Disclaimer: Wanting to use several of these gorgeous, filthy expressions doesn’t make you a bad person, but inventing and engineering social encounters so that they escalate into verbal bloodbaths, just so you can shout out “trust fund hippie” in French, or “five-faced hypocrite” in Tagalog: well, that’ll probably get your Miss Manners card revoked. I’m not joking. My Fantasies: An Erotica Journal by David Russell and Gary Silver (2006, Clarkson/Potter Publishers, Random House) is precisely the sort of book my mother would give me, with or without any expectations that I’d fill in the lined pages, which feature helpful prompts such as “Here are my instructions for the perfect massage…” This gift, I think, is most telling: of how few boundaries there are in the discussion of what governs good and bad in printed matter, in the creator & progeny relationship of which I am one half. What is even more endearing, and comforting, is that this is the way it has always been — not that my mum was giving me erotica to read when I was in pinafores, no, but that the conversation on reading has never felt stilted, blinkered or reined in by dictates of “You shouldn’t”, or “Good/chaste/charming girls don’t read those awful things.” Panelled with quotes by the usual suspects (Pablo Neruda; Gustave Flaubert; The Kama Sutra; Rumi), and tastefully (yet pulse-tinglingly?) peppered with illustrations in unobtrusive sepia, this pocket journal is precious, darling: a fitting accoutrement to the love you’re making or dreaming up. From she who knows the mettle and measure of my reading life with as much intimacy as my mother, I received The Children’s Book, by A. S. Byatt (2009, Alfred A. Knopf). For a long time in my teenaged years, I would tell anyone who asked that my favourite book was Byatt’s Possession. It was. Never had I read something so perfectly, ornately itself, if that’s at all coherent — this unabashed love letter to epistolary ardour, to the secret lives of writers and the conventions of two ages colliding into each other. Everything Byatt writes feels forged in a master (a mistress!) class of writing well, and I cannot fathom that The Children’s Book, loosely based on the life of English children’s book author E. Nesbit, will feel any differently. I don’t have the full measure of The Children’s Book (and when does one have the full measure of a book, ever, really?) but I can tell that it will lend itself to cloistered, intense readings. I will read it so fixedly that the rest of the world will fall away, and people and places will seem strange, when I return to them again. Now, to my resolution. It’s simple, really. In 2013, I resolve to read for pleasure as I damned well please. I know that sounds a little repetitive and haughty, but let me explain. Over the past year, the work I do has been sharply characterized more and more by what could be called professional reading: reading tailored to published reviews, blog posts, and social media commentary. It’s like what I do at Novel Niche, but also not quite: each job owns its distinctive tone, and none is a mirror image of the way I write about books and an involved reading life here. Vast tracts of my time are spent with books in various official review piles, and this is bloody fantastic, but it’s also work. The distinctions are subtle but the end tasks remain thrilling. There are precious few things I would rather be doing professionally. That said, when I read for pleasure, without a deadline or copy edit attached, I intend to do so while revelling in the freeness of choice, and the fullness of that particular range. Maybe I’ll read a book on a carousel, or in a park with a vagrant sitting next to me all day, muttering about the weather. Maybe I’ll read at a funeral. Maybe I’ll read manga and review it like classical literature. I might finally begin reading more books in Spanish, in public transit. Incomplete memoirs published without endings; Japanese erotica with or without tentacles; books I’ve had stowed away with the best intentions for years; books that Rory and Jess enjoyed poring over together in between smooches; books that Jesus Christ might pick up in a Barnes and Noble: I’m cutting any vestiges of reading propriety that could potentially be lingering. A reading life isn’t a prolonged Advanced Honours Literature class, or at least it shouldn’t be. There is no way to do it wrong, unless perhaps you never open a cover. So this year, I’m resolved on making no resolutions other than opening as many covers for pure pleasure as I can lay my hands on. I look forward to your company, Novel Nichers, and to the continued joys of the round circle of commentary, clickage and steadily good vibrations that I always want to encourage here. Merry, mirthful 2013! The three books of my 26th birthday. I turned twenty-six on August 18th. Part of these celebrations involved the merry claiming of Novel Niche’s very own, spiffy domain! That’s right… instead of holding to that handy ‘dot wordpress dot com’ suffix, I took the plunge, and now Novel Niche lives at ‘dot net dot com’. Apart from the ability to fit the blog’s name more handily and elegantly upon business cards, and the thrill of its triple alliteration, nothing else has changed. I haven’t gone corporate, I’ve just… embraced the delights of a new address. I cannot recall a single birthday where my mother hasn’t gifted me a book, or several. This year it was one, and I am glad it came unaccompanied. There’s something to be said for the single title in your hands, the way it demands your attention, especially if it’s worthy. My mother never gifts me books that won’t, sooner or later, inhabit precious space in my interior weather. I’ve been lucky enough to hear Shara McCallum read her work before, at a 2012 Bocas reading with Guyanese poet, Fred D’Aguiar. This Strange Land was longlisted for the 2012 OCM Bocas Prize for Caribbean Literature. When I heard McCallum read, I knew I would need to acquire her work, vitally and through urgent means, so it made the best kind of sense to be surprised with it on my birthday, by my mother. That language of essential, literary knowingness, can be so tenuous, so impossible to script convincingly between two souls. I am infinitely lucky to have that with my mum. My uncle and I have this tradition: no matter how busy our lives get, he takes me book-shopping on my birthdays. Last year, he bought me The Amazing Absorbing Boy by Rabindranath Maharaj (at whose 2012 Bocas reading I was present, and on which I shared my thoughts), and Turkish writer Elif Shafak’s The Forty Rules of Love. This year, I chose two titles firmly rooted in Caribbean terra firma. Haitian writer Myriam J. A. Chancy’s The Loneliness of Angels (Peepal Tree Press, 2010) was longlisted for the 2011 OCM Bocas Prize for Caribbean Literature, and is hailed on the Bocas blog as “steeped in Haitian history, charting human connections across gulfs of time and space.” Told from multiple narrative voices, spanning generations, borders, languages and communities, the novel hints, even from its blurb, at a transformation (or else a confirmation) of how Haiti is perceived. It feels that it will be a necessary read, if not an easy one. Spiritual matters are said to bind the novel’s numerous threads, and I am, I confess, almost singularly concerned in seeing how this is borne out. Chancy read from The Loneliness of Angels at this year’s Bocas festival, too, but with the program as delightfully stuffed as it was, I couldn’t make it. 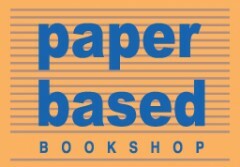 When next she reads here, I will endeavour to be in attendance, my well-read copy in hand. Perhaps the reality of having grown up/continuing to grow up in a former colony, of inhabiting a place that others feel comfortable breezily grouping as “oh, the islands“, perhaps that has led me to think of “exotic” as pejorative rather than laudatory. No islands are created equal; there is nothing in Trinidadian history that ought compel one to think it is synonymous with Guyanese history, a reality that writers like Bhattacharya doubtless know. I love reading novels about Guyana, not because it is an exotic place, but because the novels are about Guyana. That an Indian native has written what’s been called the quintessential Guyanese novel is not a deterrent. It hints to the possibility of more access to seeing, and to the abundant richness of discovery — both of which can lead to the finest writing. I’d meant to close this post with thoughts on the book I ordered for myself, in recognition of twenty-six bibliophilic years. I’ve wanted it for so long, and been quietly enthralled with its writer for even longer. I will speak of it, and her, another time, when my order is delivered, and I’m holding that much-anticipated volume in my grateful, hungry hands. My mother has been giving me Coetzee for years now. Perhaps 2011 will be the year in which I finally begin reading him in earnest. I remember tiptoing around his work as a young teenager, mortified, appalled and sickly compelled by the passages I couldn’t help steal glances of, out of Disgrace and Badlands. At 24, I can think of no better endorsement for a writer than work you just can’t get out of your mind or stomach, even if it’s just a distressing snippet that’s haunted you for years. (Perhaps especially if it’s such a snippet.) Diary of a Bad Year is a story of dubious morality, lust and avarice, told in three voices simultaneously. Yes, I am certain this is the year to read Coetzee. From just this, I’m already intrigued. Any novel that compellingly and masterfully seeks to reorder, retell or critique the cruel and arbitrary assignations of merit decreed by history is a book I must read. This collection of fourteen stories hinges on “the lives of African American men and women who work against the constant threat of loss to maintain a sense of hope.” There are stories within such a compilation, one feels instinctively, that cannot be denied. This is one of the most powerful elements to short fiction writing—the conveyance of entire lives in a matter of lines. You get the impression, just by leafing through the pages of Lost in the City, of the sheer immensity of scope and significance of the lives that lie within, waiting to intersect with yours. 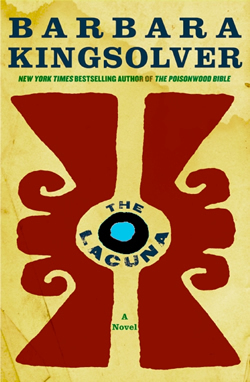 I remember unwrapping Telex from Cuba, poring over its blurb, then declaring to it, “Well, you look original.” It touts itself as “the first novel to tell the story of the Americans who were driven out of Cuba in 1958”, ensuring that my interest is piqued, in a similar manner to my anticipation of reading The Known World. This seems like a gutsy, ambitious first novel, and I am always eager to sink my teeth into those. Lehane’s crisp, unflinching prose has fuelled some of the best and bleakest crime/suspense films in recent memory, namely, Gone, Baby, Gone, Mystic River, and Shutter Island. This collection offers an exciting look at the author’s short fiction, as well as a play in two acts. This is precisely the sort of fiction against which many people have accused me of being strongly biased. I am looking forward to reading it—and I will likely expound on my overall lack of enthusiasm for the genre of crime fiction (spoiler: so much of it is formulaic, snoozeworthy drivel) when I review Coronado, but I’ll probably spend more time talking about how Lehane exemplifies action/suspense writing done right. Having not yet read Midnight’s Children (gasp! the horror), The Ground Beneath Her Feet is my favourite Rushdie—it is a haunting story, exquisitely told, as one imagines, somewhat enviously, that only Rushdie can. The Enchantress of Florence includes the tales of an achingly beautiful princess, a mysterious conjurer bearing a missive from Queen Elizabeth I, and the story of many stories that explore the threads between East and West. Sounds like typical Rushdie, right? That’s particularly why I have high hopes for this book. We shall see if it will dethrone my current preference in the Rushdie-canon. I’ve already read one of the stories from this first collection of Smith’s. Entitled “Text for the day’, it documents erstwhile-bibliophile Melissa’s rejection of her scarily over-catalogued life. She traverses locations with no apparent motive, tearing out the pages of books as she goes. 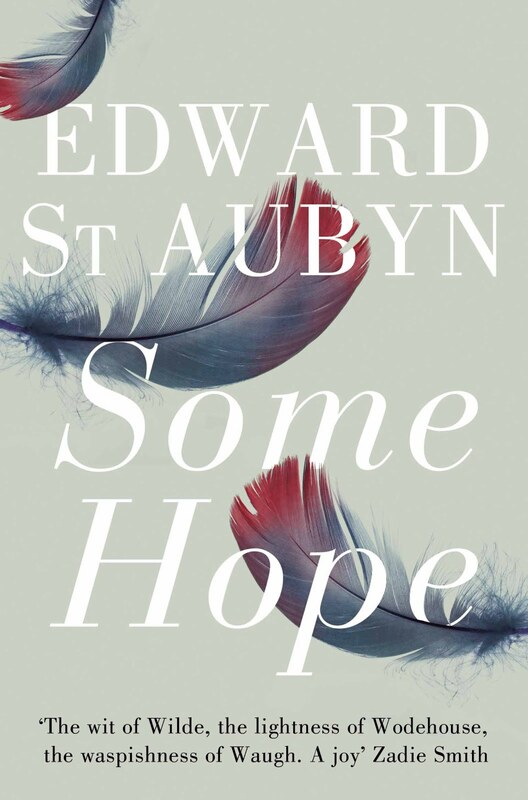 The blurb of the collection attests that “the stories in Free Love are about desire, memory, sexual ambiguity and the imagination.” Having also read the titular story, I’m inclined to nod, respectfully, at that endorsement. It sounds like a whole lot of vague, spooky deliciousness, doesn’t it? I wonder if I will be amused, haunted and moved, as advertised? Herein lies the story of the sojourner, Kate, who uproots herself from all vestiges of the familiar to embark upon a voyage of self-discovery. (Her lover simultaneously undertakes his own parallel, separate-though-inextricably-connected journey.) Do you believe that Alice Walker can turn out a tender and triumphant vision quest of a story? I do, even based on my solitary yet unforgettable past travels in her writing. Arrestingly presented (Scribner trade paperback, 2003), this debut collection of short fiction would beg to me to rescue it from a bookshop shelf, and I am certain I would have answered. These are eleven “graceful, expertly crafted stories, set in Japan, (which) explore the grey areas between the long shadow of World War II and the rapid advance of Westernization.” As loath as I am to declare, unwaveringly, that The Laws of Evening promises to be a good read, I am entirely sure I will not be able to resist reading it for long. Yes, I can see all you self-proclaimed readers of serious fiction furrowing your brows at the title of this one, but having perused it myself, I can attest to the fact that the writing is solid, substantial, and funny. It documents the travails of a group of recently-fired lingerie seamstresses as they cope with their suddenly unemployed status. My mother is currently reading this one, and her prognosis so far is positive. According to her, the plot is convincing enough (while at times sympathetic to a movie one might or might not spy on the Lifetime Channel), the characters are well-drawn and engaging, and the overall effect (she’s midway in) is that of a band of middle-aged women trying to furnish their lives with purpose and re-empowerment. In this, book eight of her heartwarming, soul-food-esque Mitford Years/Father Tim series, I’ve got no doubt that Jan Karon delivers more of the same nostalgic and sentimental fare in this Christmas-themed installment. Of Shepherds Abiding, Karon herself says: “This Mitford story presented itself to me, quite unexpectedly, and asked to be told. I hope readers will find it a perfect refuge from the holiday frenzy.” I have thought, since encountering the Mitford tales, that they exemplify what is best about quietly contemplative, serialized offerings of their ilk – they are told with illuminating grace, love, and considerable talent. A handful of years ago, novelist McKay came to inhabit a 20th century Nova Scotian birthing house, the historical details of which (specifically, details concerning the woman who managed the house, a pioneering midwife) eluded her. History did not sate her curiosity, or slake her imagination, so The Birth House is the product of McKay’s investigations and fictive ruminations on the legacy of birthing houses, midwivery, the conflict between holistic and scientific medicine, and the timeless, unassailable bonds of sisterhood. I confess, the intricately detailed drawing of a tree, as well as the quirky title, drew my hand toward this book, but the description convinced me to keep, and gift it. Having recently completed the novel, my mother found it sadly charming; life (and death) affirming: a brief, slow carousel ride of loss, of succumbing, coping, and finally, surpassing grief. The only memoir on our shared Yuletide list, I have heard The Glass Castle declared to be the sort of book that makes one profoundly glad for their upbringing, for the travesties of their youth and adolescence, which, when compared to Walls’ own oft-nightmarish background story, seem positively peachy. The memoir opens with Walls shamefacedly trying to ignore the sight of her mother, rooting through a garbage can, from the former’s vantage point in a comfortable city cab. One can only imagine the revelations—some bleakly humourous, some humourlessly bleak – that lie in wait. There you have it, readers. With offerings like this to usher in a new year of reading, I get the feeling that 2011 will be brimful with good reads—and, let’s hope, some downright outstanding ones.